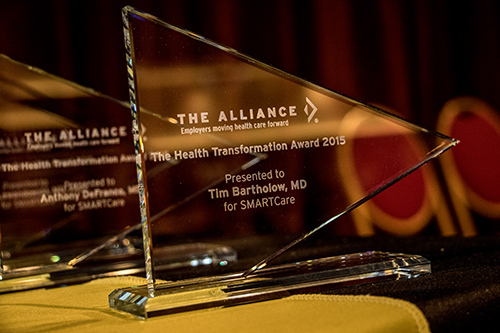 In 2015, The Alliance Board of Directors established the Health Transformation Awards program to recognize people and/or organizations that demonstrate alignment with The Alliance mission of moving health care forward by controlling costs, improving quality and engaging individuals in their health. 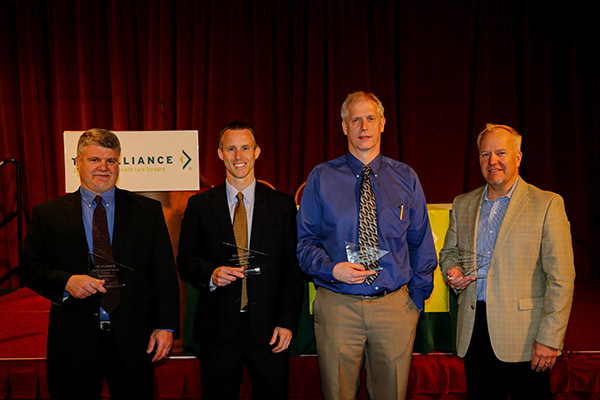 The awards are given out at The Alliance’s Annual Seminar every year in May. Exploring new approaches to delivering care. Exploring new approaches to paying for care. Improving the quality of care using a systematic, process-oriented approach that can be adapted and implemented by other organizations. Collaborating with other organizations to develop innovative solutions to significant health care problems. Advancing our understanding of how to engage consumers in making better decisions about their care. Providing extraordinary leadership among employers related to health benefits, specifically by representing employers’ interests and/or developing a consensus on important issues among a significant number of employers. 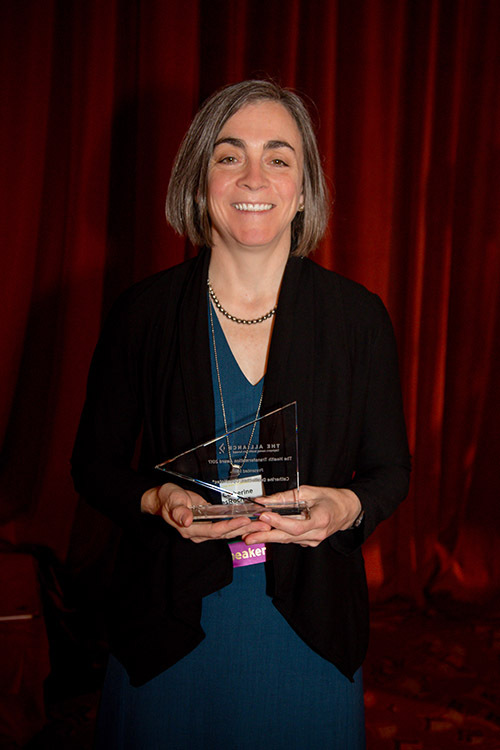 You can nominate a person or organization for a Health Transformation Award here. 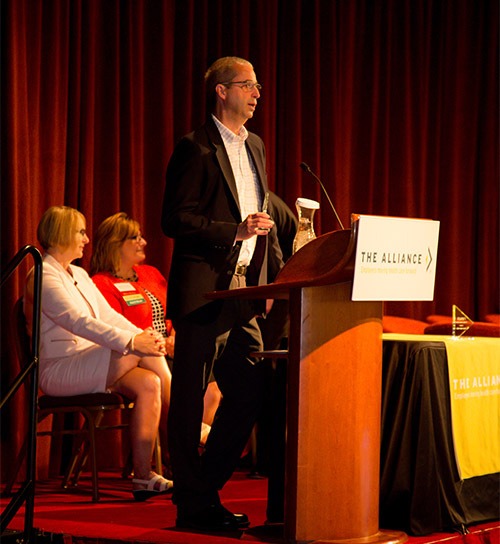 Four awards were given to individuals or organizations that have made significant contributions to transforming health care in their community when The Alliance held its Annual Seminar on May 17, 2018. Brakebush Brothers is being recognized for exploring new approaches to delivering and paying for care. And for collaborating with other organizations to develop innovative solutions to significant health care problems. National CooperativeRx ensures that prescription benefits are provided to employees and their dependents in the most effective and efficient manner. The National CooperativeRx benefit and the corresponding pharmacy benefit manager (PBM) agreement is one of the most complex relationships that an employer has to manage. National CooperativeRx addresses this by negotiating with the PBM, overlaying their expertise, establishing clear expectations and accountability with the PBM and passing all those benefits on to their members. 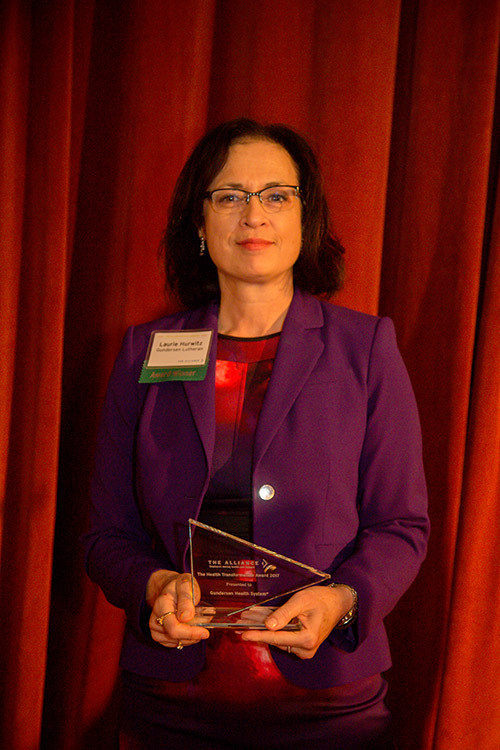 National CooperativeRx is being recognized for exploring new approaches to delivering and paying for care, as well as advancing our understanding of how to engage consumers in making better decisions about their care and collaborating with organizations to develop innovative solutions to significant health care problems. 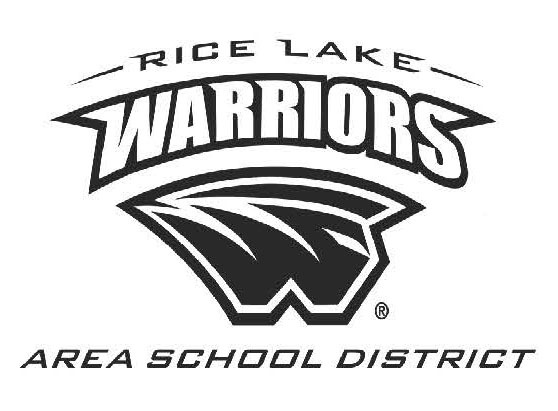 Rice Lake Area School District is being recognized for multiple reasons including exploring new approaches to delivering and paying for care; improving the quality of care using a systematic, process-oriented approach that can be adapted by other organizations. And for collaborating with other organizations to develop innovative solutions to significant health care problems; advancing our understanding of how to engage consumers in making better decisions about their care; and providing extraordinary leadership among employers related to health benefits. Smart Choice MRI is working to change the way services are provided by offering quality imaging that gives consumers a decision and an option to lower the costs for their own care. Smart Choice MRI offers affordable services at a set price, so there are no surprises. They use advanced technology with scans read by leading radiologists. They also offer convenient, flexible hours to work around consumer schedules and customer service is always a priority. 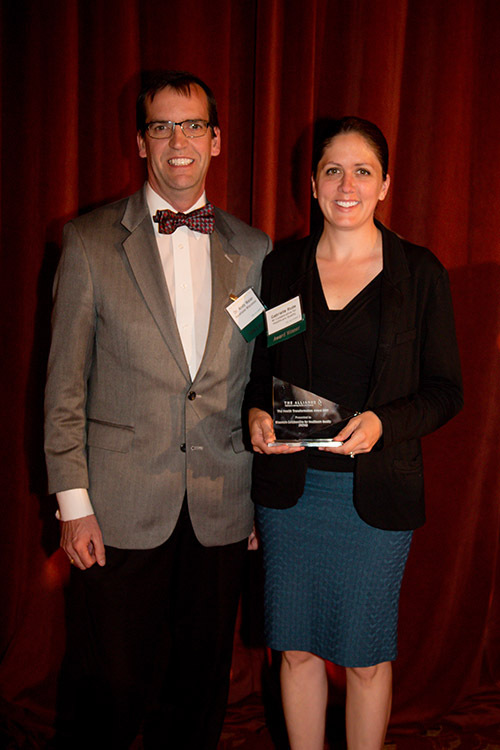 Smart Choice is being recognized for exploring new approaches to delivering and paying for care. 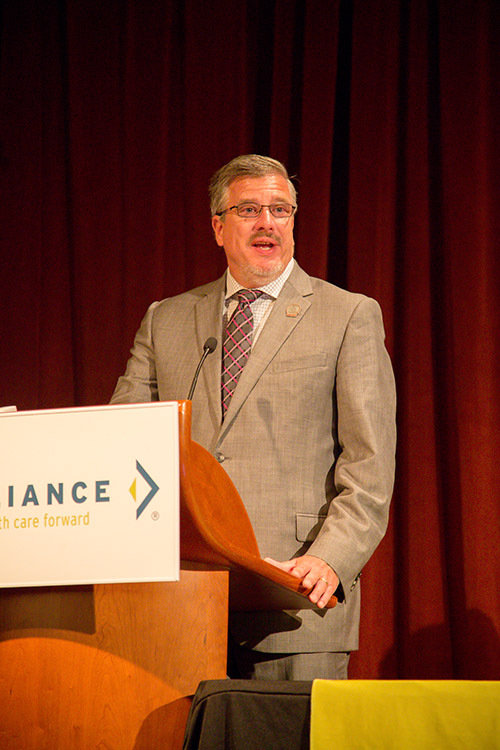 They are also advancing our understanding of how to engage consumers in making better decisions about their care and collaborating with other organizations to develop innovative solutions to significant health care problems.